My journey into the world of fine Bibles started right about a year ago, at least in earnest. The first Bible I contacted a publisher about was the NIV Heritage Bible, even though I knew it wasn’t yet in print. It ended up being the last of the Bibles that I requested for this series of posts to arrive. Even with all of the amazing Bibles that I had been able to review, I kept wondering what I would think of the NIV Heritage Bible when it came. Now that it has come and I’ve had a chance to spend some time with it, I’m excited to share my thoughts. There are several things I love and a few things I would change. It is the (relative) affordability of this Bible that is why I am most excited to share it with you. With a coupon you can apply within Amazon, the Bible is currently $83.76 (click here). For goatskin edge-lined Bibles, that is less than half the price you would usually pay. I wonder if my favorite leather cover is the one that I’m holding in my hands. While I would say that I have really liked every premium leather cover (as opposed to bonded leather especially) that I have gotten my hands on, I would also say that this cover surprised me right out of the box. Even after getting my hands on a variety of exceptional Bibles, this cover made an immediate impression. It is the softest and supplest goatskin cover I have held. The grain is very smooth. I have a few goatskin Bibles with very pronounced grain and I really like them. But there is something about this cover that is wonderful. The spine is smooth with faux bands stamped on with silver, but they are no more pronounced than the lettering on the spine itself. The lettering on the spine is below average when compared to the other fine Bibles I have reviewed. It seems a bit cheap compared to the quality of the cover. But that is one of the few compromises you make at this price point. The NIV Heritage Bible is a single-column Bible. Zondervan has done a great job here. Poetry is laid out as poetry and narrative sections are in paragraphs. The layout is clean and draws you into immersive reading. If I were going to read the Bible through in a shorter period of time, or read an entire Book in one sitting, this would be the Bible I would use. Distractions from the text are at a bare minimum. There are chapters and verses, with occasional headings. Translators notes are in the bottom corner of the page (if there are any). And that is it. There are no references or other material in the text. Each chapter number is in blue, which helps quickly locate chapters and adds some interest in design. Every Book starts on its own page, which is not always the case. The design and layout of this Bible are excellent. As is the case with almost every goatskin Bible, the binding is edge-lined, which is the most durable binding. As I’ve mentioned before, the tabs in edge-lined Bibles often irritate me enough that I am sometimes unsure whether I would rather have an edge-lined binding than a less durable paste-off binding without the rigid tabs. My initial impression was that the tabs in the NIV Heritage were going to be frustrating. The first two thicker pages have glue through half the width of the pages, which made me concerned that the cover would not readily fold back behind the rest of the Bible. This was the most pleasant surprise to me of this entire Bible. I’m not sure how they did it, but this is the best edge-lined binding I’ve seen from that standpoint. Right out of the box I could fold the front cover all the way around the back with ease and flush against the spine. This is ideal for reading with one hand. The NIV Heritage Bible does this much easier than any edge-lined binding I’ve reviewed. The NIV Heritage Bible has art-gilt page edges that are blue under silver. The page edges are a nice additional touch at this price. They match the interior design beautifully, especially with the blue chapter numbers and section headings. The Bible also has three ribbons that are black, blue, and red. The color of the ribbons with the silver page edges and black goatskin is really striking. The Bible also has a concordance and maps at the end. The concordance is the more concise of the two NIV concordances I’ve seen in NIV Bibles. This one has 2,474 word entries with more than 10,000 Scripture references. I’ve gone back and forth on the paper and ink in the Bible. My feeling is that the paper is not at the same level as some other Bibles I have reviewed here. I would guess that this was the major tradeoff that Zondervan made in order to be able to offer a goatskin Bible for less than $100. It feels like a top-quality cover married to good but not exceptional paper. This is not a major concern from my perspective, but one I wanted to name for readers. Of the Bibles I’ve reviewed here, the paper in this Bible made the least positive impression on me. I do think the opacity is comparable to other similar Bibles, maybe even better than some. I also like Zondervan’s “Comfort Print” typeface. I have really enjoyed the conversations I’ve had with readers online and in person about fine Bibles. More and more people read the Bible entirely on a screen, if they read it at all. For this reason, I am all the more grateful for publishers who invest in print Bibles that are made with attention to detail and the best available materials. These Bibles are attractive and a pleasure to interact with and read. They are designed to be used and last. The price is understandably an obstacle for many people who cannot justify spending $200 or more on one Bible. This is where I think Zondervan has made a really important addition. The NIV Heritage Bible is a remarkable Bible that gets a lot closer to the price of a bonded leather Bible. And there is a world of difference between a Bible that is made of leather shavings glued together (which is what bonded leather is) and a single piece of goatskin. The fact that Zondervan can sell an edge-lined goatskin Bible for less than $100 is an exceptional value. I hope it will make it possible for many more people to invest in a high quality Bible that will provide a draw to spend more time searching the Scriptures. Zondervan generously provided this Bible to me for review. As always, I was not required to give a positive review of this Bible, only an honest one. When I started asking people who already knew a lot about high end Bibles where I should start, I was surprised at how many people mentioned a Bible with which I was entirely unfamiliar, The Tyndale Select NLT Select Reference Edition. The Tyndale Select checked the major boxes I had on my initial wish list for a forever Bible. It was a single column layout. It included cross references and a concordance. It was available in goatskin. The pages were Smyth-sewn. And it had art-gilded edges. I was worried that when the Bible arrived, I would find that I had gotten my hopes up too much and would feel let down. But if anything, I like this Bible even more than I had anticipated. The Tyndale Select NLT is available goatskin and calfskin. Both of these options are available in either black or brown. I am reviewing the goatskin and calfskin in brown. Simply put, the calfskin cover is the best calfskin cover I have ever felt. I like how soft the leather feels and the firmness of the boards, which I’m finding are breaking in wonderfully. For those of you who want the floppiest cover possible, this is not it. The grain on my calfskin is not pronounced at all, which is part of what makes it so soft and smooth in the hand. The calfskin is a paste-off binding and has gold gilding (and not the art gilding, which is gold when the Bible is closed and red/salmon when opened). The calfskin Tyndale Select retails for $189, but can be found online for around $130. The goatskin cover is also wonderful. It has a much more pronounced grain than does the calfskin. It is edge-lined, as are most goatskin Bibles. The inner lining is also leather (cowhide, I believe). The edges of the cover are sewn. For a goatskin edge-lined cover, this cover is a bit firmer than some of the others I’ve reviewed. It does not have boards between the two leather covers, but it is a bit less floppy than other covers I’ve seen. Unlike the calfskin, the goatskin has a gold line around the interior that outlines where the text block sits inside the cover, which adds a touch of beauty. The goatskin edition has art-gilded edges, which I love. The other difference between the goatskin and the calfskin is that the goatskin is a semi-yapp cover, which means the cover hangs over the pages about half an inch. The layout is identical in both Bibles. And it is fantastic! The Tyndale Select NLT is a single-column layout. The references are in the outer margins. Textual notes are in the footer. The combination of the size of the page (the text block is 8 ¼ “ x 5 ¼ “) and the generous spacing between lines makes this my favorite single-column Bible I’ve reviewed so far. The text is arranged in paragraphs in narrative sections and sections of poetry have generous and attractive spacing. The cherry on top is that the Tyndale Select NLT starts every Book on a new page, which most Bibles do not do in order to conserve space. This does make the Bible slightly thicker than the Cambridge Clarion, for example. For me, the tradeoff is entirely worth it. The layout decisions enhance readability at every turn. The Tyndale Select NLT contains cross references. I find these to be invaluable in reading and studying the Bible. It also contains a dictionary/concordance after Revelation. The concordance is helpful, but by no means exhaustive. It also has 8 full color maps. This Bible has more pages for commemorating key moments in one’s family than any I’ve seen. At the front of the Bible there is a presentation page, a page for listing marriages, a page for listing births and adoptions, and a page for listing deaths. Both Bibles have two ribbons. One of the ribbons on the goatskin Bible is fraying quickly. There is one thing that I wish were different. Of the goatskin Bibles I have reviewed, this one is the hardest to wrap the cover around the back of the Bible. I think this is the combination of the slightly more compact size of the Bible combined with the tab in edge-lined Bibles that I often find to be a bit frustrating. The calfskin edition is easier to wrap around than the goatskin, so it is less of an issue. I have reviewed quite a few Bibles over the past several months. One question I’ve been asking myself of late to try to gauge my feelings about these different Bibles is this: If I could only keep one of these Bibles, which one would I keep? Of the Bibles I’ve been able to get my hands on thus far, the Tyndale Select NLT Select Reference Edition is the Bible I would keep if I could only keep one. If I had to choose between the goatskin and the calfskin, I would choose the goatskin, in part because I love the art-gilded page edges. I have to say I love them both, though! The Tyndale Select NLT Select Reference Edition is an exceptional Bible. Of all of the Bibles I have reviewed, it is the closest to perfection. The reason this is my favorite Bible of the ones I’ve reviewed so far is, of course, largely subjective. I love the size of this Bible. The size combined with the consistent quality across the board makes this a fantastic Bible that I highly recommend. Tyndale sent me several other Bibles to consider for review. They don’t really fit the focus of this series on fine Bibles. I found myself spending enough time with two of them that I wanted to say a brief word about them. The Filament Bible is worth considering if you love the layout of the Bible reviewed in this post. The filament edition is the exact same layout as the Tyndale Select NLT, it is just in a much more economical hardcover without the frills of the much more expensive Bible. It is an awesome and affordable single column Bible in its own rite. The filament is an experiment in combining physical and digital media, as the filament also includes an app that enables you to scan the page that you are on in order to uncover substantial study notes, additional articles, commentaries, and videos. The Wayfinding Bible has three different guided reading plans that take you deeper into the narrative of Scripture. Because of the initial “flyover route” and then the deeper dives that follow, I would consider giving this Bible to a new Christian or someone who has struggled to prayerfully read Scripture on their own. I was really interested in how Tyndale arranged these different layers of reading Scripture. Like many of you, I have been following the rollercoaster of events in United Methodist denominational politics with some interest and quite a bit of concern. From my perspective, it feels like this is the part where things are going to get uglier, where we follow the all too predictable pattern in our history of starting with good intentions and a commitment to assume the best in each other and ending with fighting and suing over property and assets. I very much hope I am wrong about that. From where I am sitting, it does not look promising. I believe that there are two ancient paths the people called Methodists ought to return to and walk once again. First, we need to return to the practice of “watching over one another in love” through small group formation like the Methodist class meetings and band meetings. Class meetings were required for membership in early Methodism. A Methodist was someone who attended a class meeting. Class meetings were focused on transformation and not information. The basic question was “How does your soul prosper?” Every Methodist was asked this question in class meeting every week. What you have thought, said, or done, of which you doubt whether it be sin or not? In the past year, I have been tremendously encouraged by the number of pastors I have heard from who have started band meetings, especially through New Room’s focus on “banding together.” My life has been changed in ways I can’t even fully explain through participating in band meetings. The practice of confessing sin to brothers in Christ and receiving the promise of the gospel that “if we confess our sins, he is faithful and just and will forgive us our sins and purify us from all unrighteousness” (1 John 1:9) has been the most tangible place I’ve experienced growth in holiness in my life. 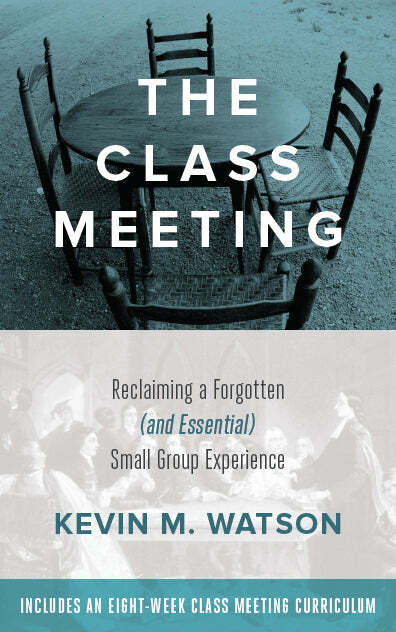 Come what may in UMC politics, it is time for Methodists to return to a Wesleyan approach to small group formation. Many of you already are. We will make mistakes along the way. That is ok! Let’s keep connecting with each other and helping those not yet connected find places of belonging. Second, we need to return to what John Wesley referred to as the “grand depositum” of the people called Methodists, the doctrine of entire sanctification or Christian perfection. The mission of Methodism in Britain and in the United States was initially to “spread scriptural holiness.” Holiness was the core focus and purpose of the people called Methodists. Here is what I see as being at stake for us today. I believe that we live in a world where many are desperate for hope and healing. Many have a quiet desperation that comes from the numbness and pseudo connections that have come from spending too much time “connected” to our screens, and far too little time connecting in person in life-giving relationships. Many are desperate because they know that their lives are going in directions that are not going to end well, but they are not able to stop. Many are depressed, discouraged, and simply without hope. The list could go on and on. Into this world, in this reality, our calling is to preach the full gospel. We have the good news of Jesus Christ. And this news is not news that only brings forgiveness, pardon, and a get out of jail free card in the next life. The gospel is the good news that you can not only be forgiven, but you can be healed. You can be cleansed, restored, set free. We need not limp through this life, defeated, merely surviving. No, “we are more than conquerors through him who loved us!” (Romans 8:37) We can be saved to the uttermost. There should not be a church in any of our communities that has a more audacious and bold optimism of what God’s grace can do in the lives of every single person in your community than Methodist churches. This, is what is at stake in preaching and teaching Methodism’s grand depositum of entire sanctification. And we preach this not as an idea, but as the fruit that comes from knowing a person – Jesus, our risen Lord. Jesus saves. Jesus rescues. Jesus heals. He has done these things and he will do them again. I am convinced that the future of the people called Methodists starts with unplugging these two wells: Wesleyan small groups and entire sanctification. There is still living water here. As we unplug these wells and bring people to them, we will see fruit. We will see lives undone by the love of God that has been poured out over the world in Jesus Christ. We will see lives mended and made whole. And we don’t need to wait on the decision of a Special General Conference or Judicial Council deliberation. We can unplug these wells and offer the water that is already in them today to the people in our communities. Let us return to the ancient paths. Come Holy Spirit, breathe life into your people once more. Since I started reading about high quality Bibles, I wondered if I would be able to bring myself to write in one. I regularly tell myself that these are not museum pieces, they are Bibles and are meant to be used. When I carry one of these Bibles, I try to use common sense to take care of it. But I also don’t do anything that would create disincentives to reading it. This is the reason I don’t carry them in their original boxes. I want to be able to unzip my bag and pull it out and read it like any other book. But writing in a Bible changes it forever. Would I ever be able to bring myself to commit to really using the Bible to the point that I would write in it? The Cambridge Wide Margin Bible put that question to rest. The NIV Cambridge Wide Margin is only available in calf split leather at the moment, which is the lowest quality leather cover that Cambridge makes. The cover is much nicer than any generic “genuine leather” or “bonded leather” cover I’ve previously owned. There is no contest. However, I also like it much less than any goatskin, calfskin, or cowhide cover that I have. The calf split cover feels functional to me. It is sturdy and gives confidence that it will protect the pages between the covers. The tradeoff is that the calf split feels tougher and less supple than higher quality covers. I suspect that the NIV Wide Margin is only available in calf split due to sales projections. Part of my hope in reviews like these is to encourage readers who prefer the NRSV and NIV to invest in these translations so that they receive the same kind of support as the KJV, NASB, and ESV. By way of comparison, Cambridge’s ESV Wide Margin Bible is available in goatskin in addition to the calf split. I have an ESV Wide Margin in goatskin (on the left in the photo above). When comparing calfskin to goatskin I am often conflicted. They are both fantastic and different enough that I find myself going back and forth between which one I prefer. There is no contest, however, between the calf split and the goatskin. The goatskin is far superior. There is also a significant difference in price (the list price of the goatskin is $80 more than the calf split). The layout is where things get really interesting! The Cambridge Wide Margin has the identical layout to the Pitt Minion within the same translation (see my review of the Pitt Minion here). This means that if you own an NIV Pitt Minion and an NIV Wide Margin, the exact same words are on every page. This has the benefit of helping with remembering Scripture when you read and study, as you can move from one volume to the other and you are reading the same passage in the exact same place on the same page. The benefit, of course, is that the Pitt Minion is much smaller and more portable, so it is ideal for carrying with you when you are on the go. The Wide Margin is ideal for more in-depth Bible Study at home. As is obvious from the name, the Wide Margin is quite a bit larger than the Pitt Minion. The decrease in portability brings the benefits of larger text, the most expansive concordance I’ve seen in an NIV reference Bible, and room to write in the Bible. The text is not only larger, the paper also seems better than the paper in the Pitt Minion. To my eye, the paper in the Wide Margin seems to be a bit opaquer than the Pitt Minion and it seems to have more of a matte finish. Appropriately, the paper in the Wide Margin is made to be written on, while the Pitt Minion prioritizes portability. Above all else, the Wide Margin is designed for you to engage Scripture by writing in the Bible. The purpose of the wide margins themselves is to have space to write summaries, insights, questions, etc. from your engagement with Scripture. After the concordance, the Bible also has a blank two column alphabetical index and 32 double column lined pages. This part of the Bible can be used to add additional reference material or anything else you would like to add. I really like the combination of the Pitt Minion and the Wide Margin Bible. If the NIV is your preferred translation and you want a reference Bible that is designed to help you study the Bible by using the Bible to interpret itself (rather than external commentary like a Study Bible), the NIV Wide Margin is the best option currently on the market. If I had to choose between the Wide Margin and the Pitt Minion, I would choose the Pitt Minion because of its versatility, size, and availability of a goatskin cover. However, after using both Bibles so much for the past month, I can’t imagine not having them both. The Wide Margin is an ideal complement to the Pitt Minion and a wonderful way to study Scripture in greater depth and engagement. I love having two Bibles of very different sizes that have the same pagination and typographical style. These Bibles are made to be used and to last. The Wide Margin is ideal for deep engagement and interaction with Scripture and is the best NIV reference Bible I have seen. Cambridge generously provided the NIV and ESV Wide Margin Bibles for review. I was not required to give a positive review of this Bible, only an honest one. As far as I can recall, I had never seen or touched a goatskin Bible before my Pitt Minion arrived. The more I read about these Bibles online, the more I wanted to get my hands on a goatskin Bible. Now that I have spent hours with half a dozen goatskin Bibles, this cover is one of my favorites. The cover is paste-off, which is typically considered less durable than edge-lined covers. However, it also means that it does not have the tab that I’ve written about before and that I continue to find vexing. Out of the box, the Pitt Minion cover was a bit stiffer than I had anticipated that it would be. But it has broken in exquisitely! After reading a review from J. Mark Bertrand, I decided to give the cover all it could handle. Every time I pick it up, I roll the Bible up like a newspaper two times, so that each cover is rolled up on the inside. The boards have broken in wonderfully and the cover seems to me to have become more supple and flexible the more I use it. I would not change a single thing about the cover of this Bible. It gets better with use. The binding is also exceptional. I have read it described as springing open. That seems a bit overstated to me. However, the Bible easily lays flat at either Genesis 1 or the maps at the back. This Bible is not only made with an attention to detail, it is also made to be read. As with any Bible of this quality, the pages are smyth-sewn. The Pitt Minion is most famous because of its layout. It is widely considered to be the ideal two column layout for a compact Bible. While I am not an expert in design, I have been amazed at how readable this Bible is given the small font size. The font is 6.75/7 Lexicon No. 1 A, which is small. The size of the font is the only concern I have with recommending this Bible. If you cannot comfortably read smaller print, then this Bible is not the one for you (and you should rule out all compact Bibles). Having said that, a comment I’ve frequently seen people make after spending time with this Bible is that it reads as if the font were bigger than it really is. The text is set in a double-column layout. The references are between the two columns and are set off by a solid line on each side. Notes from the translators are in the footer, as are any references that could not fit in the center column. The text is also set in paragraphs, which I greatly prefer to verse by verse layouts. While I do generally prefer single-column layouts, I love reading this Bible and the two columns have not been an issue for me. There is one change I would like to see in the layout. I would like each Book to start on a new page. I understand the reasons for not doing this, but I would gladly accept the additional thickness of the Bible for the elegance in layout and reading experience that would be gained. One of the things that most surprised me about the Pitt Minion is that it has the same size concordance as the Schuyler Quentel, a much larger Bible (for comparison the photo above features the Quentel and Pitt Minion together). Fitting a 2,474 word entry concordance with more than 10,000 Scripture references in this small of a Bible feels like a magic trick of some kind. If this wasn’t enough, the concordance looks to me to be the same size as the text itself, which makes it easier to read than the concordance in the much larger Quentel. The Pitt Minion also has 15 color maps. From the variety of Cambridge Bibles I’ve seen, these maps are the same across the variety of Cambridge Bibles. This Bible also has two ribbons that are a really nice red. There is also a blank presentation page at the front of the Bible. If you want a highly portable reference Bible, the Cambridge Pitt Minion is in a class by itself. I have carried mine in my backpack on several trips and it has held up beautifully. I have intentionally not packed it in the box it came in when I travel because I want to remove any obstacle to reading it. I had some concern that the Bible would get damaged if I treated it as I would any other book. I found a slight scratch in the art-gilded page edges during one trip. But I don’t view these Bibles as museum pieces. One of the reasons they are worth buying is because of the durability of the materials that are used and the quality of the construction. The more I have used this Bible, the more I like it. This essay has reminded me how difficult Wesley is to read well, especially when groups with quite different perspectives seek to use Wesley as warrant for their position. The challenge of letting Wesley speak for himself is especially visible in his final words of advice. Nevertheless, I think Wesley is an essential conversation partner, particularly as United Methodism wrestles with the extent of agreement that is necessary to maintain unity. If you are just joining the conversation, this is the final post in a four-part series on an essay John Wesley wrote in 1745, “Advice to the People Called Methodists.” These posts are designed to be read together. I hope you will check out the first, second, and third posts! Wesley urged Methodists to avoid superstition and bigotry. He defined superstition as placing “religion in doing what God hath not enjoined, or abstaining from what he hath not forbidden.” Bigotry was defined as “confining our affection to our own party, sect, or opinion.” Wesley also wanted Methodists to “stand fast in obedient faith” and “avoid enthusiasm” (expecting to encounter God without using the means of grace). Some will endeavour to fright you out of your principles, some to shame you into a more popular religion, to laugh and rally you out of your singularity. But from none of these will you be in so great danger as from those who assault you with quite different weapons – with softness, good nature, and earnest professions of (perhaps real) goodwill. Here you are equally concerned to avoid the very appearance of anger, contempt, or unkindness, and to hold fast the whole truth of God, both in principle and in practice. This indeed will be interpreted as unkindness. Your former acquaintance will look upon this, that you will not sin or trifle with them, as a plain proof of your coldness toward them; and this burden you must be content to bear. But labour to avoid all real unkindness, all disobliging words, or harshness of speech, all shyness or strangeness of behaviour. Speak to them with all the tenderness and love, and behave with all the sweetness and courtesy you can, taking care not to give any needless offence, to neighbour or stranger, friend or enemy. Wesley concluded the essay with a final piece of advice and a prayer. His final piece of advice was: “Perhaps on this very account I might advise you, fifthly, Not to talk much of what you suffer, ‘of the persecution you endured at such a time, and the wickedness of your persecutors.” Instead of talking about what Methodists suffer at the hands of others, he exhorts them to pray for them. 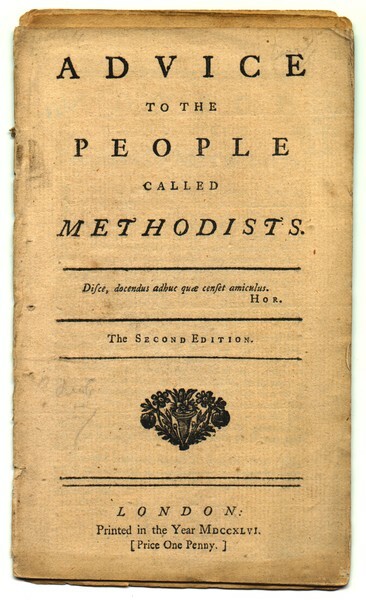 Wesley wrote “Advice to the People Called Methodists” in a context where Methodism was under tremendous pressure. (For more information on the serious internal and external pressures Methodists faced in the first half of the 1740s, I highly recommend Richard P. Heitzenrater’s Wesley and the People Called Methodists.) In a time when my own denomination is in a crucible, it is helpful to know what was important to Wesley in the midst of the pressures he was facing. In controversy, Wesley worked to be as precise as he could be about who a Methodist was. The question of identity was one that Wesley came back to again and again throughout his leadership of this new movement. He was not interested in maintaining something for its own sake. The details of belief and practice were of immediate concern to Wesley. I think this is the part of our own history that may be most often misunderstood by denominational leaders. It is common in our current crisis to hear bishops and other key leaders appeal to the importance of unity in the midst of disagreement about marriage and human sexuality. Appeals to unity are often grounded in Wesley’s “Catholic Spirit,” or quotes like the ones found in this essay. Indeed, Wesley regularly called for Methodists to show tolerance and charity towards those with whom they disagreed. He insisted that Methodists should not anathematize Christians due to disputes related to nonessentials. Does this mean that we can assume Wesley would advise us today to agree to disagree on the matters that presently divide us? Would he passionately exhort us to focus on what unites us and work to find ways to remain externally united? The best way I can think of to frame this is in the form of a question: With whom were Methodists disagreeing? If Methodists disagree with Catholics, Baptists, Eastern Orthodox, or any other Christians, then Wesley is rightly used to call us to charity and to go as far as we can to see the best in these other groups of Christians and work as much as we can with them. If Methodists disagree among themselves, then Wesley is rightly used to call us to clarity about the inevitably concrete focus on holiness of heart and life. Wesley repeatedly called Methodists to “be true to your principles.” He exhorted them to do this regardless of how those outside of Methodism reacted to these principles. And, to his credit, Wesley was honest that the most likely result of clinging to their principles would be some form of suffering and rejection. Wesley’s own history shows that he did indeed divide from others due persistent and ongoing disagreement about matters of faith and practice (which he would have put in the category of nonessentials or opinions). Wesley divided from both the Fetter Lane Society and from George Whitefield for these reasons. And both divisions were very difficult for Wesley, damaging relationships that were deeply important to him. “Catholic Spirit” and other similar statements were not intended to be a guide for dealing with disagreements with Methodism. Methodists had clear positions on all manner of opinions. And Wesley expected Methodists who were in connection with him to hold fast to their doctrine and discipline. Wesley has been misused for so long by so many that it is very difficult to read him well here. While Wesley presses Methodists to love those with whom they disagree, that is not the same thing as encouraging a broadening of perspective or a watering down of concrete moral and ethical commitments. Contemporary United Methodists too often incorrectly include loving those with whom we disagree with compromise on beliefs and practices. Wesley cannot be used to support such a position. He can be used (and should be!) to remind us that it is essential that we do all we can to love and respect those who do hold such a position. Wesley’s “Advice to the People Called Methodists” is a relentless call to know who God has called them to be and to be faithful to it. Within that understanding, Methodists are exhorted to treat non-methodists with love and affection. This essay has reminded me that, for Wesley, the power of Methodism comes from its detailed commitment to a particular way of life in order to pursue holiness of heart and life. Methodists always pursue holiness together expecting growth in holiness to occur in the context of intimate and vulnerable community. 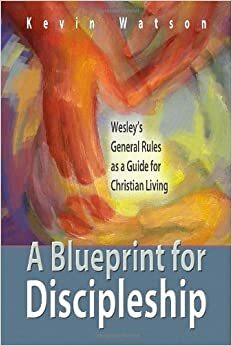 For Wesley, the concrete details of practical holiness are simply indispensable because they, by the grace of God, provide the thrust for the very mission of Methodism. These direct words were Wesley’s second piece of advice to “the people called Methodists.” But why would Wesley tell the fledgling Methodists that it would be impossible to avoid giving offence? You will give offence to the bigots for opinions, modes of worship, and ordinances, by laying no more stress upon them; to the bigots against them, by laying so much; to men of form, by insisting so frequently and strongly on the inward power of religion; to moral men (so called) by declaring the absolute necessity of faith in order to acceptance with God. To men of reason you will give offence by talking of inspiration and receiving the Holy Ghost; to drunkards, sabbath-breakers, common swearers, and other open sinners, by refraining from their company, as well as by that disapprobation of their behaviour which you will often be obliged to express. And indeed your life must give them continual offence; your sobriety is grievously offensive to a drunkard; your serious conversation is equally intolerable to a gay impertinent; and, in general, that ‘you are grown so precise and singular, so monstrously strict, beyond all sense and reason, that you scruple so many harmless things, and fancy you are obliged to do so many others which you need not,’cannot but be an offence to abundance of people, your friends and relations in particular. I’m not sure I could come up with a piece of advice from the founder of Methodism that would cut harder against the grain of contemporary Methodist sensibilities, at least in my part of The United Methodist Church. Here is what I understand Wesley to be saying: Being who you are will be offensive to others. You can either strive to please them or you can be true to who God has called you to be and save your own souls and, God willing, theirs as well. In order to try to be as clear as I can, let me say that I do not think that Wesley is saying that Methodists are to strive to offend others. He was telling Methodists that being who they were, for the reasons mentioned in the extended quote above, would inevitably offend others. The purpose of Methodism is not to offend. But, Methodists determined pursuit of holiness of heart and life will inevitably offend those who are not pursuing holiness of heart and life. Wesley was exaggerating, right? I would guess that is the instinctive reaction many would have to this quote. The rhetoric just seems so inflated. But was he? Historians know that Wesley himself experienced tremendous strain in relationships with family and friends due to the “principles” of Methodism. He was also regularly told after preaching in Church of England parishes that he would not be invited to preach there again. Wesley also experienced the wrath, violence, and unpredictability of mobs on more than one occasion in the years immediately before writing this essay. William Seward actually died of stoning by an angry mob in 1740, five years before Wesley wrote this. When Wesley told Methodists not to imagine that they could avoid giving offence that would cost them dearly in terms of relationships, employment, and even their physical health, he meant it. What further advice can be given to a person in such a situation? I can but advise you, thirdly: Consider deeply with yourself, Is the God whom I serve able to deliver me? I am not able to deliver myself out of these difficulties; much less am I able to bear them. I know not how to give up my reputation, my friends, my substance, my liberty, my life. Can God give me to rejoice in doing this? And may I depend on him that he will? Are the hairs of my head all numbered? And does he never fail them that trust in him? Weigh this thoroughly; and if you can trust God with your all, then go on, in the power of his might. Methodists, if you are centered in your identity and if you are true to who God has called you to be, people will not like you. People will be offended by what you believe and by how you live your life. That is ok. Make no mistake, being disliked, even despised is hard. That is one reason it is essential for you to unite together to watch over one another in love. But the purpose of Methodism was never meant to be winning the approval of a world that does not believe. The purpose of Methodism has been and, as long as the Holy Spirit is in the building, will be spreading scriptural holiness. When Methodism is faithful to that purpose, the once offended are often converted to faith in Jesus Christ and the peculiar and particular principles of this people so strangely raised up by God. I am preaching to myself here. God brings me back to the basics over and over again. “Do you trust me? Do you believe that I am good and that I love you?” I need to hear and receive Wesley’s advice. I need to trust God every moment of every day. I desperately want to see United Methodism renewed. I want United Methodism to be what Wesley intended. But I don’t have what it takes to renew Methodism. Neither do you. But there is one who is able: Jesus Christ the risen Lord. I am thirsting for a revival of God’s Spirit that brings back to life a Methodism dependent on and desperate for intimate connection to the triune God.